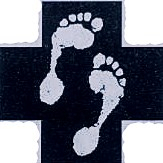 Dr. Alan L. Meshon, DPM, Podiatrist has been in practice in Chester County for over 20 years. His mindset is to consider all conservative treatments before surgical intervention which includes prescriptions, medications and when ever plausible (more than one would expect) Homeopathic and Vitamin Therapy conditions; such as Diabetic Peripheral Neuropathy as opposed to first line anti-seizure prescription medications. Dr. Meshon was the first Board Certified Hospital Trained Podiatrist in Chester County and is accredited with changing by-laws at The Chester County Hospital, Brandywine Hospital and Southern Chester County Hospital allowing Podiatrists to admit and treat for medical and surgical care. With these changes there have been a significant amount of diabetic care, both medical and surgical that are performed by Podiatrists. Brandywine Podiatry is a solo practitioner office which means every patient always sees the same doctor. Past and present interests include Equine, Canine, Landscaping and Gardening, and college sports including Soccer, Gymnastics and Volleyball.